Most trusted and largest selling RO water purifier with a transparent design that shows off KENT's patented Mineral RO technology and an inbuilt TDS controller. Best suited for Indian homes and offices and suitable for purification of brackish/tap water/municipal corporation water supply. In conventional ROTM Technology, only 20% of water is recovered as purified water and about 80% is rejected. KENT's Save Water Technology employs a computer-controlled process that recovers more than 50% water as purified water. The rejected water is stored in a separate tank that can be utilised for mopping and washing, resulting in no water wastage. KENT Wonder has a table top /Wall mountable or wall mounted design that requires very little space for installation and can be placed anywhere. It comes with a transparent and detachable storage tank that can be easily removed and cleaned anytime, anywhere without the help of a technician. 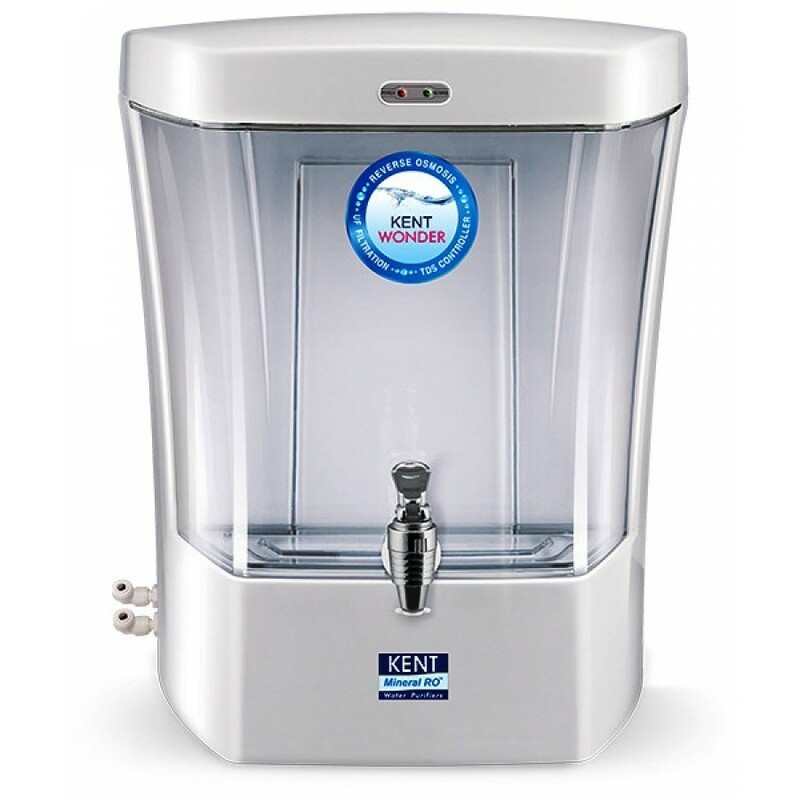 KENT's patented Mineral ROTM Technology retains essential natural minerals in purified water using the TDS Controller, thereby providing 100% safe and tasty drinking water. This RO purifier is tested and certified for its performance and quality by world's renowned laboratories, such as the WQA (USA & India), NSF (USA) and ISI (India). These achievements guarantee that KENT not only gives the most purified water but is also trusted by millions.